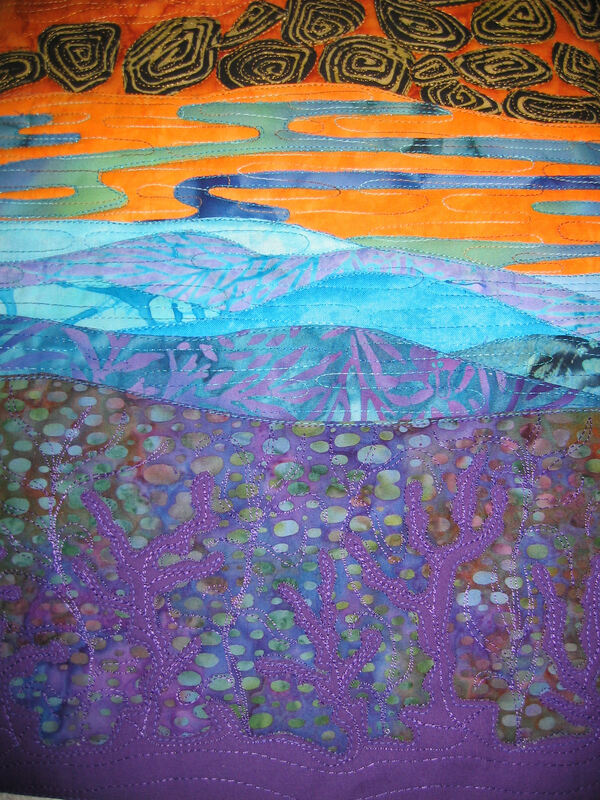 I’ve called this art quilt ‘The elements’ as there are panels incorporating air, fire, earth, and water. 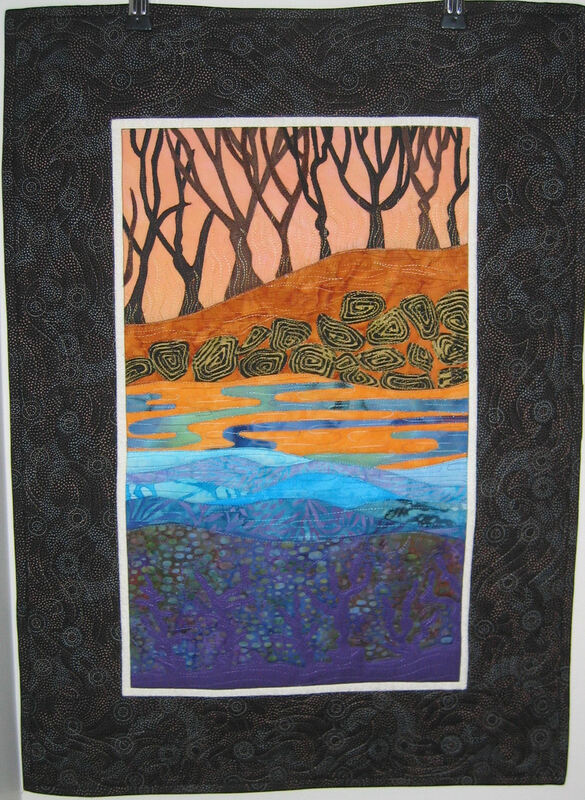 The original Gloria Loughman pattern is called ‘Coastal Strata’, but I wanted the name of this art quilt to reflect the burnt trees and the orange sky after a bushfire, as well as the layers of earth and rocks, the water surface and under the water. So ‘The elements’ it is! 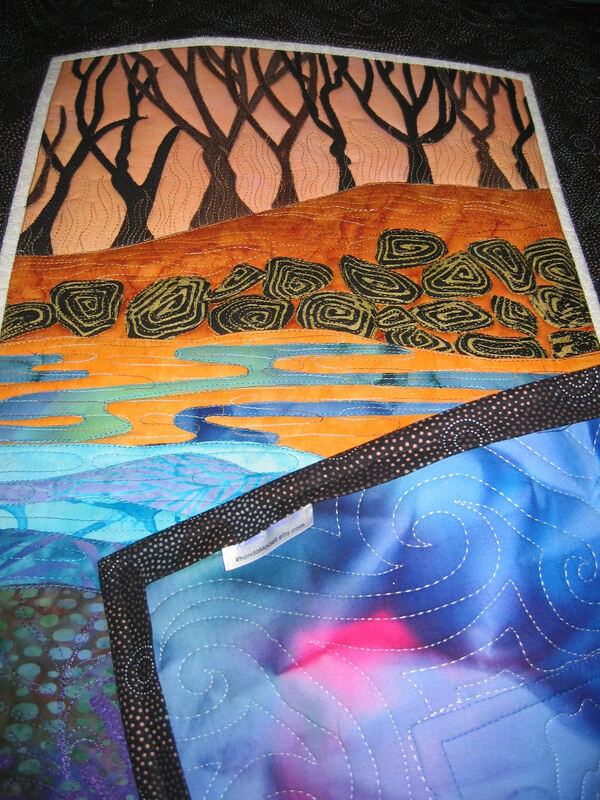 This is the finished art quilt; if you’re interested in how I created it, see this blog post: https://sandgroper14.wordpress.com/2011/08/15/how-i-made-the-elements-art-quilt/. 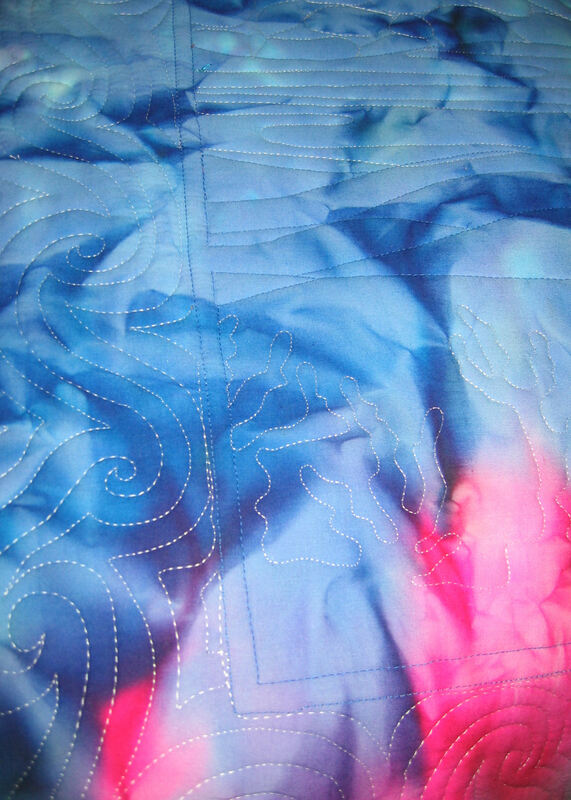 If you think it would look wonderful on your wall, it’s now for sale in my Etsy store: http://www.etsy.com/listing/79789443/the-elements-art-quilt (BTW, it’s 19.5 x 27 inches [50 x 69 cm].) 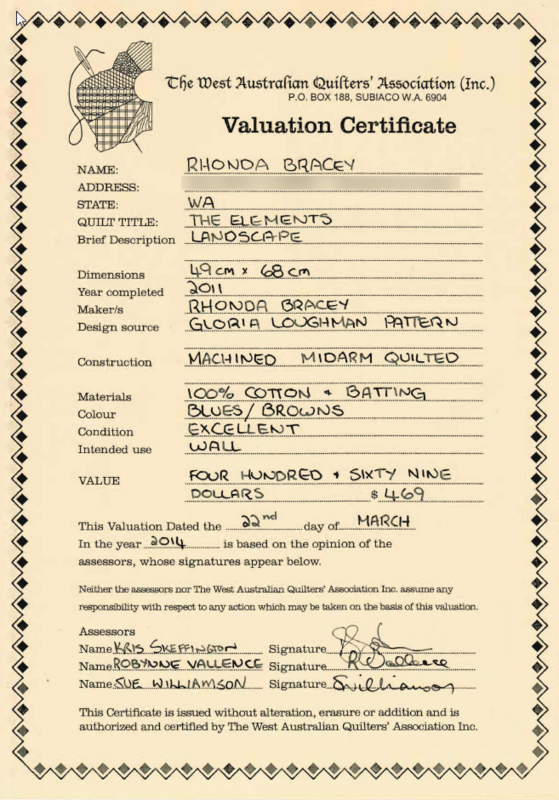 Update May 2014: I’ve had this quilt valued, and the certificate of valuation is below. 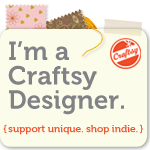 However the valuation only takes account the materials and techniques used and the quality of both — it takes no account of the time to learn the techniques nor the time taken to make the piece, which can be hundreds of hours.